The LeConte Photographic Society will host Knoxville professional photographer Clay Thurston on Saturday, May 19th at 10:00 a.m. at the King Library in Sevierville. He will do a presentation on “Solar Eclipse and Animal Eye-Identification”. 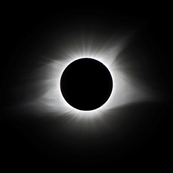 He will discuss the eclipse we had in our area last year and talk about photographing the next one, plus how to identify various eyes of all types of animals. He is a joy to listen to and is the best bird photographer you will ever meet. A wildlife and nature photographer for over 35 years, I’ve been lucky to travel the world recording wildlife and nature in their natural habitats. Sharing these experiences through workshops, programs and exhibitions makes me want to photograph even more. I enjoy recording the personalities of the animals that I photograph… nature has provided me with many hours of entertainment and amazement. I feel fortunate to be able to witness things that others will never see in person. I truly enjoy what I do and photography is as much therapy as it is work! I now use Digital cameras and lenses from 12mm – 600mm. I do all of my own printing, matting and framing… using only archival inks, papers, mats and framing techniques. My photographs will be around for many years to come.